“I just don’t want trouble.” OWN has released a sneak peek at the premiere episode of Greenleaf. The new drama, which stars Merle Dandridge, Keith David, and Oprah Winfrey, has already been renewed for a second season. The series follows Grace Greenleaf, the estranged daughter of a powerful megachurch bishop (David) in Memphis. She returns to the family after her sister mysteriously dies. 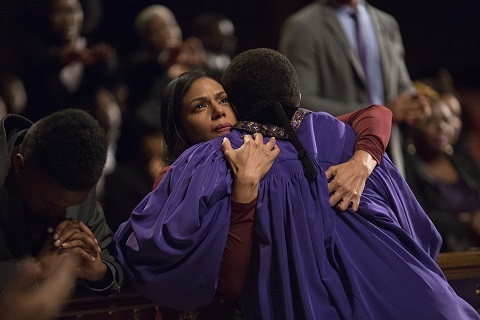 The two-night premiere of Greenleaf begins on June 21st at 10 p.m. ET/PT. What do you think? Do you watch OWN? Will you watch the premiere of Greenleaf?